I have always said that intensive driving courses are not the best way to learn to drive for anybody. Even The Association of British Insurers have looked at their accident statistics and have called for a ban on intensive driving courses. Within the proposal to introduce a 12 month learning period is a ban on intensive driving courses which typically take place over a two-week period. These courses place little emphasis on accumulating road experience during the learning period and as a result young drivers are not likely to have gained sufficient driving experience to be safe road users after completing these courses. Are young drivers a danger on the road? Young drivers remain a major danger on the road, to themselves, their passengers and other road users, with study after study showing that young people are far more likely to be involved in a crash than older drivers. Young drivers are grossly over represented in the official accident figures and each statistic represents a tragic waste of life that could be prevented. Inexperience, youthful bravado and sheer recklessness can all play a part in these accidents and we need tough action and meaningful reform to better equip young drivers to handle the dangers of driving. The consequence of this is that the cost of insurance for young drivers has continued to rise. High motor insurance premiums for young drivers are the direct result of their poor safety record, and a result of the statistically higher risk that they will cause themselves, their passengers, or other road users severe and life-changing injuries which can require a lifetime of care to be paid for from the original premium. In this paper, they detail the scale of the problem, analyse the factors behind young drivers’ poor safety record, and set out a number of proposals which they strongly believe will reduce the risk posed by young drivers. 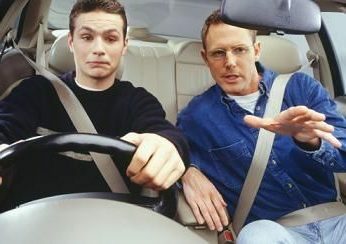 They have always approached the young driver problem primarily from a road safety perspective. The key objective is to improve the safety of young drivers. That their insurance premiums will reduce as a result will be an added benefit to society. However, it is fully acknowledged that the Government has committed to reducing premiums for young people. Yet, the only way to do this is to make real changes to the way young people learn to drive. The key to lowering the cost of car insurance for young people is to make them better, safer drivers which will reduce the number of crashes they have. Issues associated with young driver road safety are not unique to the UK and many other countries have improved road safety outcomes for young drivers by intervening and introducing meaningful reform. As such, the ABI has drawn on international examples as a starting point for our proposals to improve the safety of young drivers in the UK. • A minimum 12 month learning period before the driving test can be taken, enabling drivers to undertake supervised practice without an incentive to rush to take the practical test. • A ban on intensive driving courses. • The lowering of the age at which young people can learn to drive to 16 ½ years. • The introduction of graduated driver licensing to include a restriction on the number of young passengers that can be carried by a young driver and a restriction on their driving during night-time hours. • A lowering of the blood alcohol concentration for drivers aged between 17–24. unless radical reforms are made, the poor safety record of young drivers will continue. If the number of crashes involving young drivers decreases, the financial risk they pose to an insurer will decrease and insurance premiums for young drivers will follow. As a driving school we have to offer a full range of driving lessons. We do however try to restrict the intensive/semi-intensive courses that we conduct to partly trained pupils or pupils that have already received conventional training.